Luciano Azzaro has always been passionate about fashion and style. In 1981, he established Azzaro Nominees Pty Ltd, a leading fashion wholesaler commonly known as Azzaro. The company offers consumers in Australia and New Zealand the trendiest European clothing and accessories from top Italian designers. Its catalogue features a number of brands, including Versace, Christian Dior, Zegna, Ferre, Class Roberto Cavalli, Canali, and more. In Azzaro’s wholesale showroom and through the company’s online store, consumers worldwide are able to access these brands at up to 80 percent off of retail prices. Mr. Azzaro runs the company with his wife, Jane. Together, the couple has launched their own labels: the Azzaro Vintage Collection and Coco Azzaro. 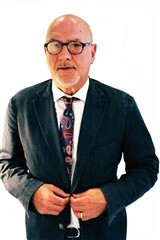 Mr. Azzaro is a respected expert in the areas of textiles and fashion. Holding a diploma in textile design, he is noted for his ability to view a particular fabric in a finished garment and then coordinate the total package. Mr. Azzaro travels to Italy regularly to attend fashion shows and review new collections. He has dressed numerous celebrities throughout his career.